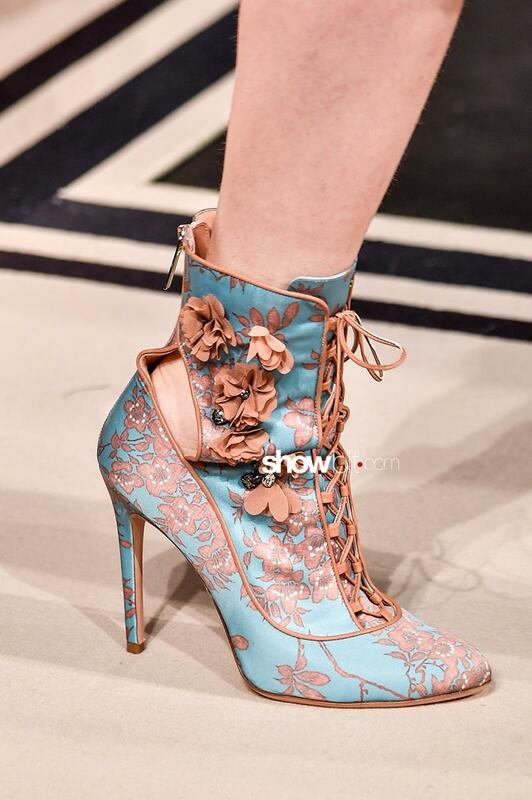 Fetishized objects, the shoes, from high heel boots to sandals, have been largely celebrated by the designers during the fall-winter 17 fashion shows around the world. 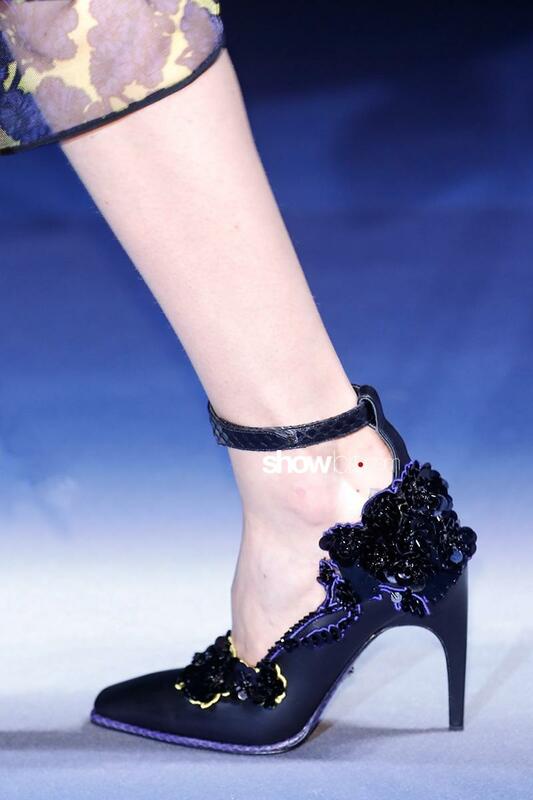 We spotted floral decorations, delicate and aggressive meaningful elements, on footwear and garments. One of the main Versace‘s hallmark are undoubtedly the high heels. For the Fall-Winter 17 collection the footwear is decorated with floral elements in a dark color palette that keeps the aggressive side of the Versace woman consistent. Elisabetta Franchi was thinking about Evita Peron while designing her Fall-Winter 17 collection presented at Milan Fashion Week. Satin, velvet and suede high heels and sandals complete the collection with flowery details. Plants and flowers are the main elements of the Fall-Winter 17 collection designed by Antonio Marras. The inspiration for the creations came from Eva Mameli and her love for botany. 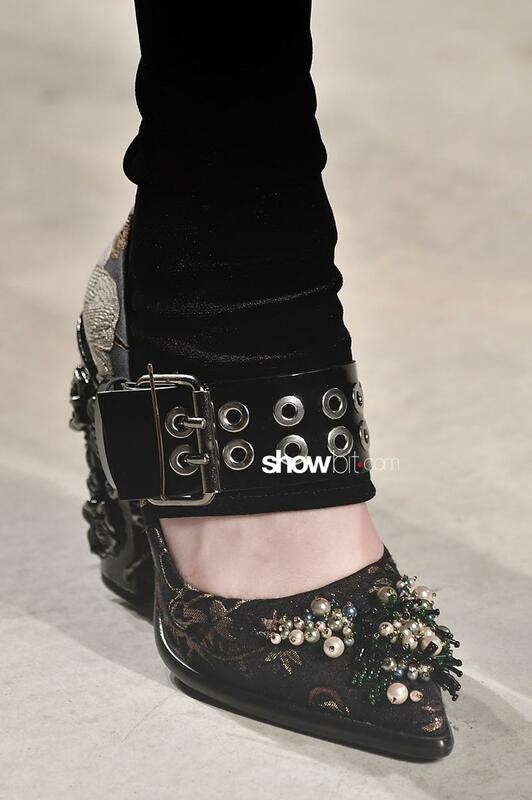 We can spot precious blossoms on shoes and accessories and beautiful botanical embroideries on the garments.